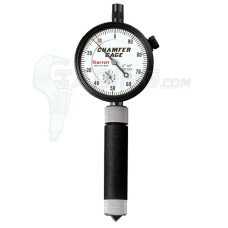 Starrett Chamfer Gages are an excellent choice when measuring the top (major) diameter of a tapered bore. These are direct reading gages and require no setting master. Starrett chamfer gages are made in the USA. 0-90° 683-1Z Starrett Chamfer Gage utilizes direct measurment to determine the diameter of chamfered..
Not actual product image These gages utilize direct measurment to determine the diameter of chamf.. 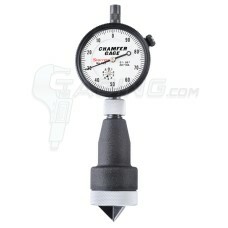 These gages utilize direct measurment to determine the diameter of chamfered holes. No setting maste..
Not actual product image These 683M-1Z Starrett Chamfer Gage 0-90° utilizes direct measurment to ..